Time was that you knew what to expect from Sauber. It was F1's pillar of the community. A solid midfield presence. It wouldn't stun anyone but it could be relied upon not to steer into choppy waters. But last year it rather failed to live up to billing, sliding down the order and even not scoring a single point which confined the team to finishing behind Marussia in the constructors' table in tenth. The C33 had rather a lot wrong with it. The team was keen to point its finger of blame towards the Ferrari power unit, which admittedly was nowhere near the Mercedes on anything. And the difficulties with it were compounded rather by the deal not being inked until October of the preceding year, giving the team next to no time to design the car around the unit, thus tainting the effort at source. It was perhaps this that it Head of Track Engineering Giampaolo Dall'Ara had in mind when he said in hindsight that the team's 2014 struggle was 'formed by circumstances before the season even began'. But it wasn't the whole story, as the car was poor on aero and generally short of downforce, as well as was hampered by a tiny set-up window and had a brake-by-wire system that was problematic. The car was overweight too - in the early rounds it was 15kg over the minimum weight which in itself lost it close to half a second a lap - meaning much of the team's development focus in the first of the season was simply on lightening the load. And then on the rare occasions that the Sauber cars had opportunities to score points they slipped through their fingers. Both might have scored at Monaco but crashed. In Hungary Esteban Gutierrez ran in the points but retired with a turbo problem. In Austin Adrian Sutil qualified in the top ten - part of a mini-upturn for the car in the final few races - but was pitched out on the first lap. There was an overarching problem also, and a familiar one. Underlining just how treacherous the financial landscape is in modern F1 even the usually fastidious Sauber squad got caught up in money worries. In 2013 there were reports of it falling behind on its payments, including to its driver Nico Hulkenberg. And the goings-on of late in the 2014 year confirmed that the woes hadn't gone away, with the team confirming two drivers for 2015 selected so far as we could tell on their ability to bring money. To the point that at least two other drivers who believed they had contracts for that season instead were elbowed aside unceremoniously. One of them in Giedo van der Garde is keeping the matter alive in the courts at the time of writing; the team's Mexican backers had their noses put out of joint by Gutierrez's dumping too, and their logos have since disappeared from the chassis. All quite the departure, as whatever else you thought of Sauber it used to be counted upon almost alone in F1 to do its business in the right way. But while the C34 is not big on sponsors (Felipe Nasr's Banco do Brasil is one of the few logos) it appears to be a neat-and-tidy design in the best Sauber tradition, though also in the best Sauber tradition isn't really anything dazzling either. And testing seemed to back up the visuals. In Jerez it looked rather stunning on the headline times; topping one day and second only to the Ferrari on the other three, but as expected (not least by the team that admitted as much) that wasn't representative. Indeed things weren't quite as good again, though still weren't bad. The C34 has looked rather ragged on track, but both drivers are encouraged by the progress nevertheless. And of course the big gains in the Ferrari engine aids Sauber also. 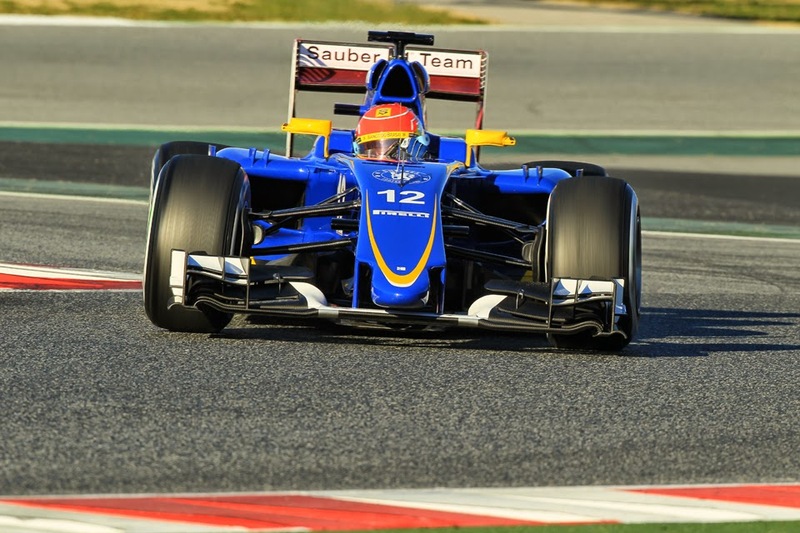 The car appears good to get Sauber back into the midfield fight, and some observers have spoken of points. It certainly looks well-set to benefit from attrition, something you'd have thought particularly helpful in ending its scoring drought early in the campaign at least, as in testing only the Mercedes got more mileage on its clock, in part a reflection of Sauber managing to complete multiple race simulations. So Sauber looks like it's reverting to type. And given what happened last season that seems far from the worst outcome. Marcus Ericsson spent most of his debut year in a Caterham as F1's pariah of choice. Perhaps even more so than that pariah of pariahs Pastor Maldonado. For the first two-thirds of the season it was common to see him hanging off the back of the pack, and when he wasn't doing that he was crashing it seemed. Sometimes he was solid enough, but often the gap to his team mate Kamui Kobayashi was too big even taking into account their respective levels of experience. His Monaco qualifying error, taking out Felipe Massa as he did so, was noticeable, as was his big smash in the Hungary race. He also crashed in Malaysia, Canada and Britain's qualifying sessions. And then he reached his nadir when in Spa and then in Monza it looked like whoever hopped into the other Caterham at however short notice (first Andre Lotterer and then the returning Kobayashi) was immediately putting heavy manners on him, with best qualifying times around a second quicker than his. The instant response of many was to decry Ericsson as not good enough, but there was nothing in his junior record to suggest that he is an idiot. Indeed prior to his GP2 plateauing (something that many drivers experience) he looked quite the star in the making. But his Singapore race last year was something of a turning point - qualifying was difficult but in the race he battled hard, and held off Jules Bianchi on much older rubber to for the first time top the 'B class'. Caterham replacing its brakes/harvesting system with something more conventional from before meant the car became much more predictable and therefore much more to Ericsson's taste. In Russia and Japan (despite an embarrassing spin behind the safety car in the latter) he too gave a much better account of himself; all of a sudden beating Kobayashi into the bargain. But then just when it was getting good for him Caterham left us. 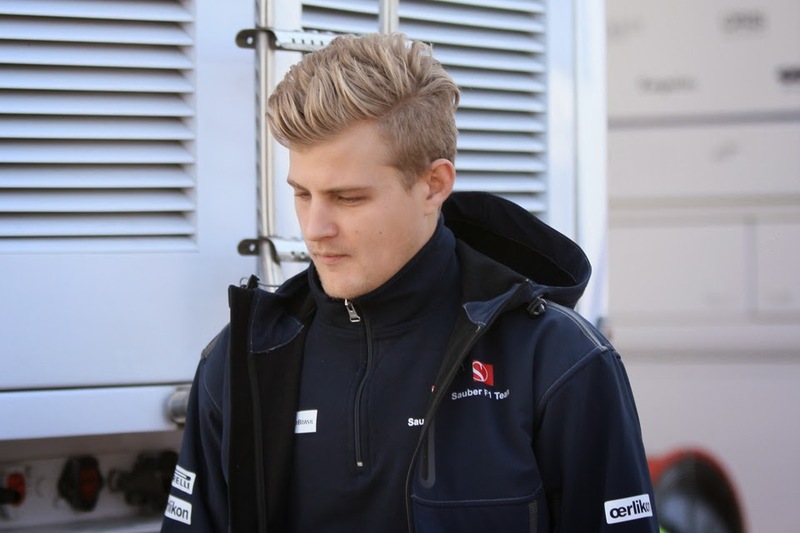 Nevertheless Ericsson himself is back this year, at Sauber. It owes a lot of money, with the Swede's backing being hefty - last year at least thought to be around $18m, roughly double what Sergio Perez brings for example. But still there were also some reasons in 2014 to think that he's not necessarily only as good as his cash. Indeed Ericsson himself has admitted that without his late upturn last year he wouldn't be sitting where he is for this. 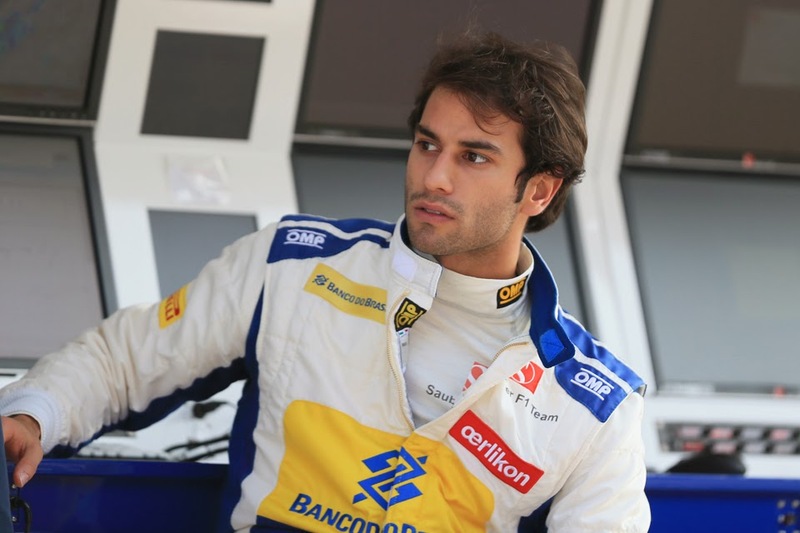 The third of three F1 debutants this season, and the only one not from the Red Bull conveyor belt, Felipe Nasr seems to have a touch of the enigmas about him. He's been near the top of motorsport's mountain peak for a while, though views of him vary anything between latest Brazilian hot-shoe and talented but wasteful presence sustained by Banco do Brasil cash. On the last point, just as with Ericsson Nasr's backing was indeed crucial to getting him this gig, given the fight for the 2015 Sauber drives was in effect a bidding war. But also like Ericsson there is enough there to make us think that it's not just about the money with him. Indeed perhaps even more so than is the case for the Swede. His CV thus far is not only impressively-varied but also has more than its fair share of success on it. Nasr has Formula BMW and British F3 titles to his name - in the latter year beating Kevin Magnussen to the punch then managing second place in Macau. He can even point at a third place finish in the Daytona 24 hours... While last year at the third time of asking he came third in the GP2 table, claiming four wins as he did so. He also has direct F1 experience as a Williams reserve last campaign too, with him completing five FP3 sessions and three test days for the Grove squad. He has spoken too of how attending every Grand Prix and every debrief last season has been of considerable benefit to him. Nasr as intimated is one who divides opinion rather though. It seems undeniable that considerable speed kicks around in there, but there are those who think he's frustrating. That it took him two years in GP2 of driving for top teams before he really got up to speed and put together a title challenge might be a warning sign. Some said too that even last year he lacked consistency and had a habit of fading in races and at vital points. The man himself has hinted however that the GP2 format of reversed grids and tyre choices didn't suit him and rather tainted how he was viewed. And in testing so far this year the perception is that he's shading his team mate Ericsson, even though the Swede starts with an almost complete F1 season to his name. Also he's at a team with a strong record of employing young drivers and polishing up rough diamonds - not least his countryman and near-namesake Felipe Massa. If Sauber can achieve similar with Nasr then everyone will win.